Graphics and Memory Card question. HALP MY! Just to start off. WONDERFUL emu. I've used emu's since the PSP came out, it's a great way to relive awesome classics and non-classics for that matter . 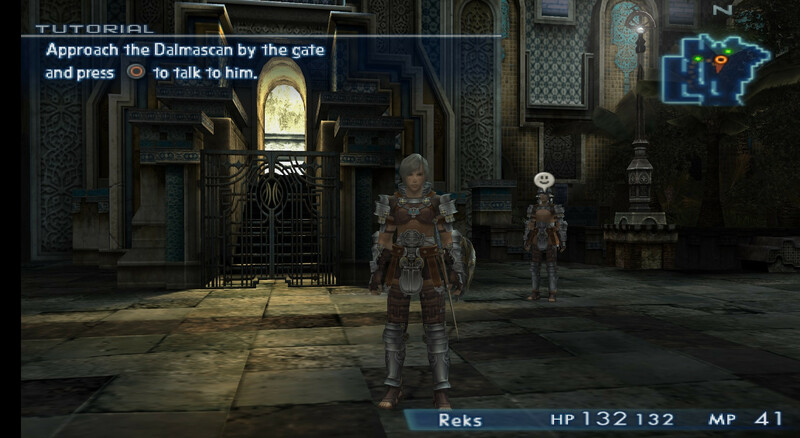 I really only want to play one game at the moment: Final Fantasy XII International Zodiac Job System. A few of you might have heard of ffxgriever who made a patch for it (seen as how it's in japanese) for us mortals. I ran the game and it works fine. Graphics are AMAZING. It's such a relief to play this on the computer. It really deserved to be released for PS3 rather than late PS2. Anyway, the problem is, graphics look amazing while the text does not. In fact, it looks worse than the PS2 itself (might just be in contrast to the graphics now on the comp). Is it just me or shouldn't the text look smoother? It looks way too pixelated and choppy. I might have missed a setting but I've tried everything graphical. Does anyone experience this with other games? I'm running a real fast computer and a BenQ 1920x1080 screen. I turned all the graphics ooptions to their highest settings and even enabled x16 MSAA. Anyway, hope this aint too weird. Another thing is a simple memory card question: Can I copy files between a "real" memory card and the one PCSX2 is using? I'm assuming it's like the PS3? Ok, that's it for now, hope it's not too much text. If these questions have been answered could you please refer me to that particular thread or tell me the keyword to search for? Kinda hard to search for "graphics" or "text" and hope to find anything specific. I must say I was a bit quick to make this thread. I tried putting my own Final Fantasy XII disc in, and the text looked fine. Graphics were epic as usual and the text wasn't choppy like the other one. This makes me wonder if maybe the patched version excludes the text from the graphics and applies it afterwards. If that's the case I guess there's no fixing it. Just thought I'd write it down in case someone else is playing the same game and somehow fixed. Well that is strange, I also have the Zodiac version and my text is perfect. I'm using the latest PCSX2 with the gpu plugin set to direct3d11 hardware and 1920x1080 internal resolution I have Texture Filtering and Allow 8-Bit textures enabled. I'm also only using the recommended speed hacks. My recompiler settings are all on default except for the VU setting's clamp set to extra. Anyway, MUCH appreciated! I basically have a powerhouse for a computer so I just want optimal settings running things. Barely use any CPU/GPU/RAM anyway.